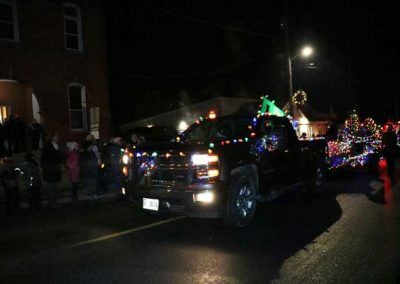 A Parade of 2018 Pictures! 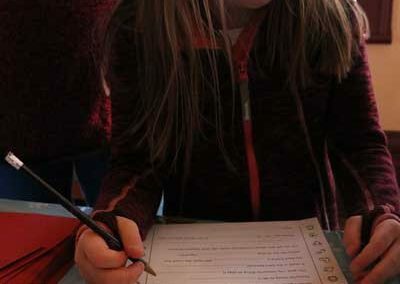 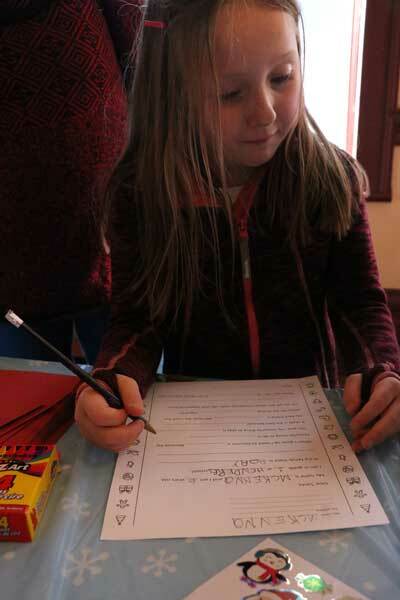 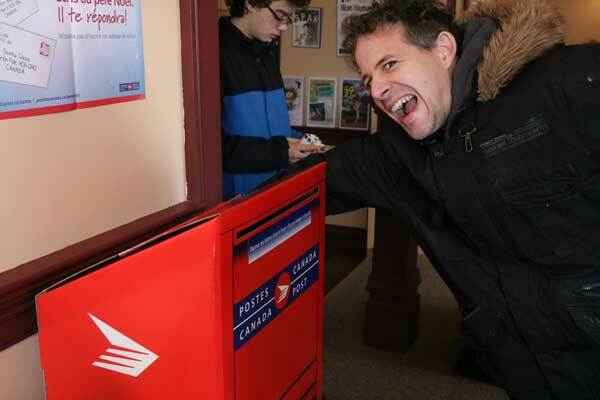 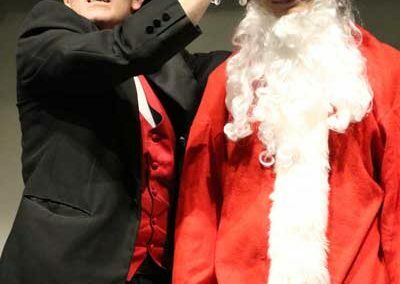 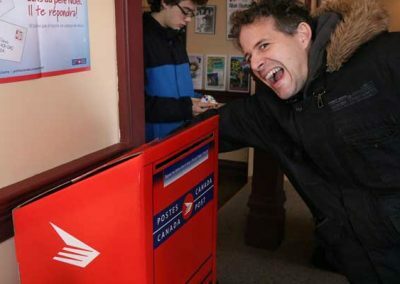 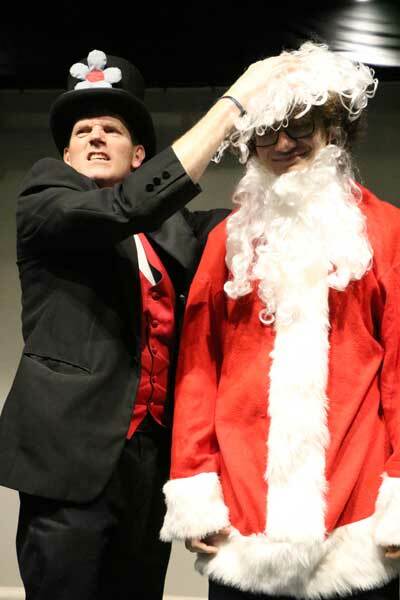 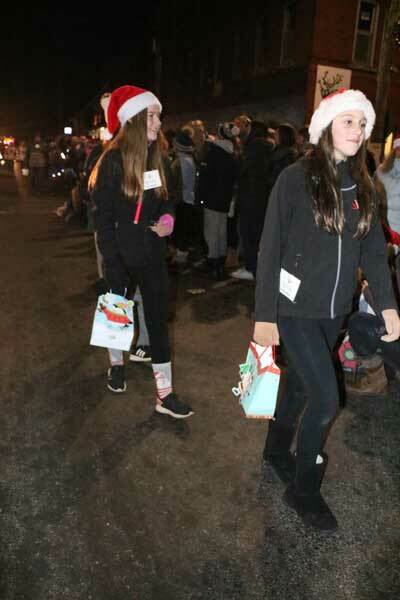 Special thank you to the Winchester Press for generously providing these images. 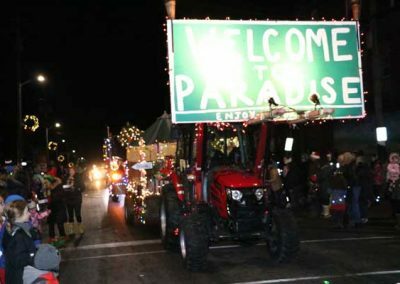 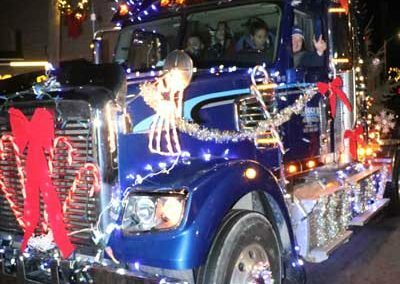 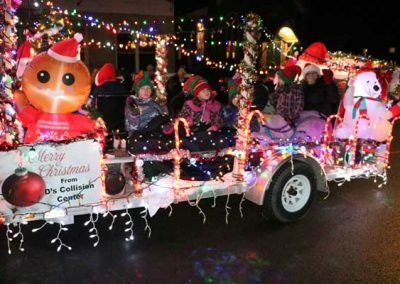 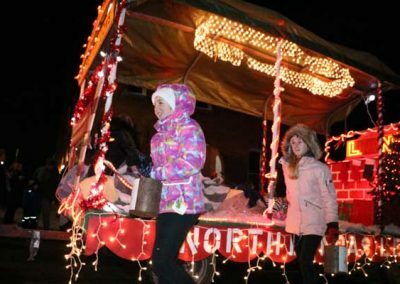 Get in touch by email at info@northdundasparadeoflights.ca or call or text Parade Committee Chair Sandy Burns at 613-668-5382. 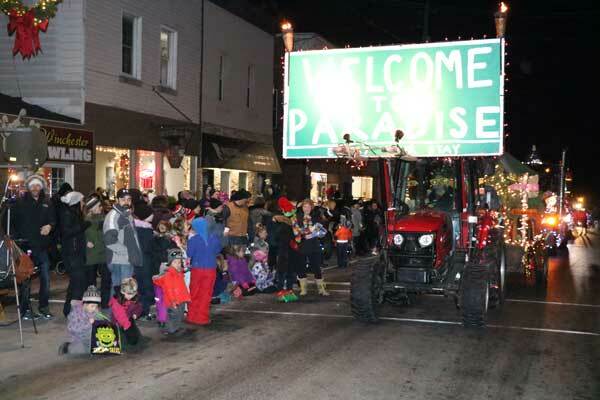 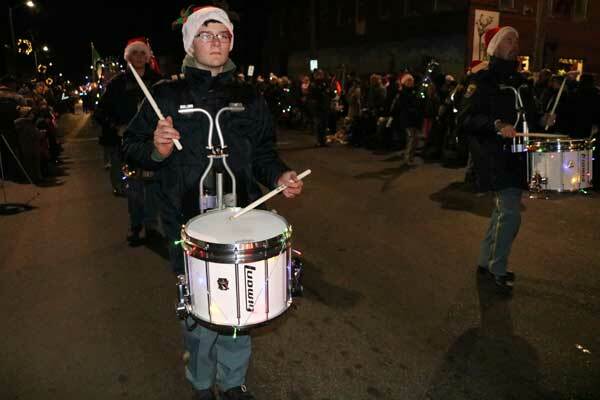 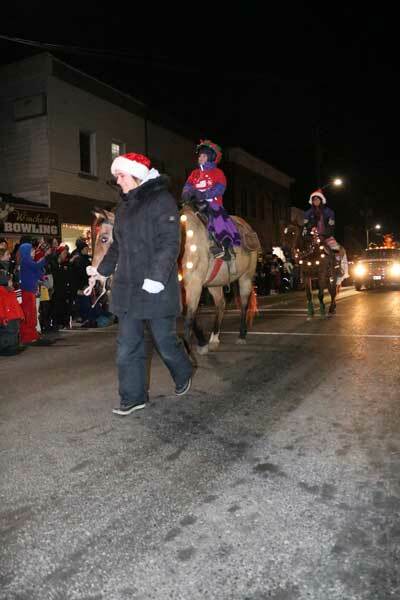 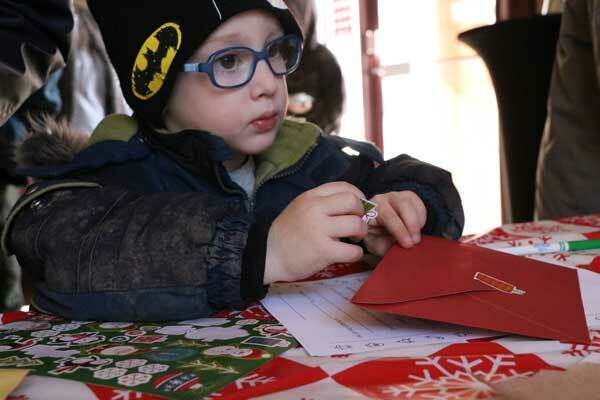 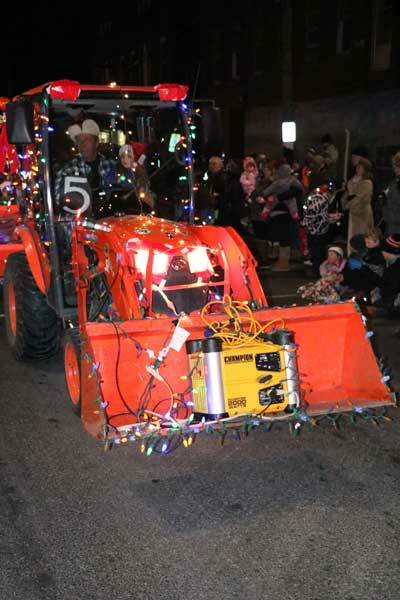 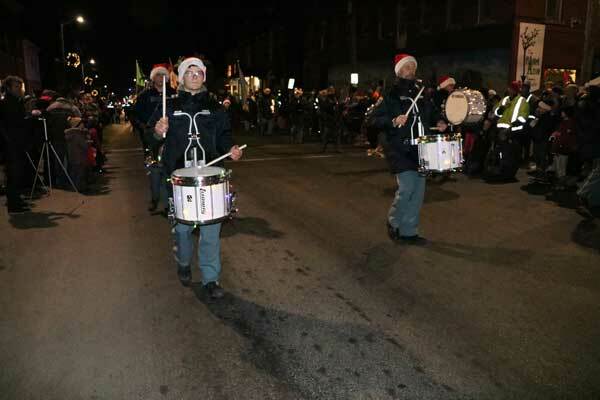 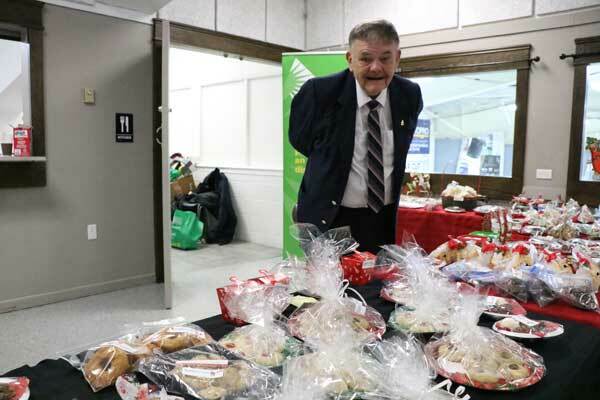 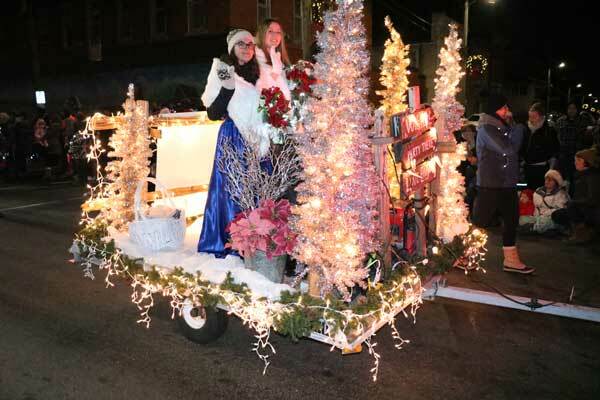 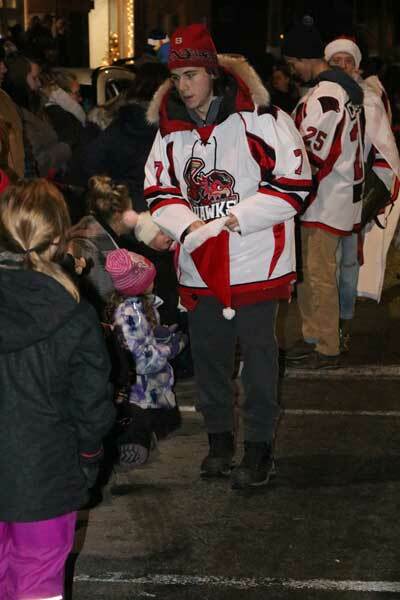 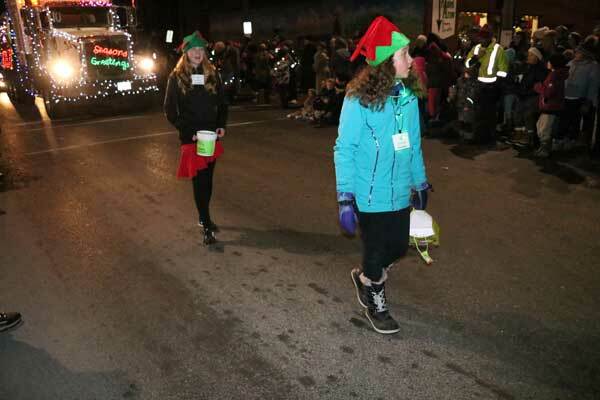 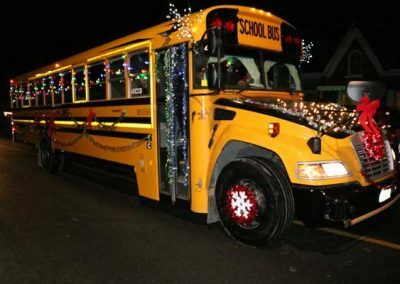 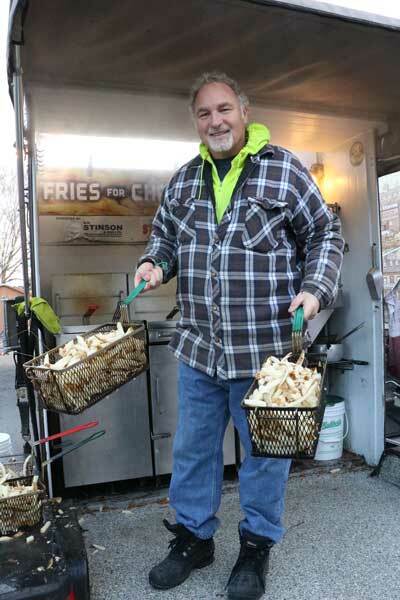 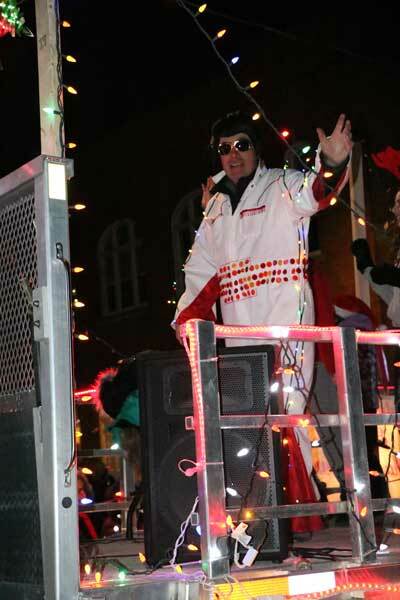 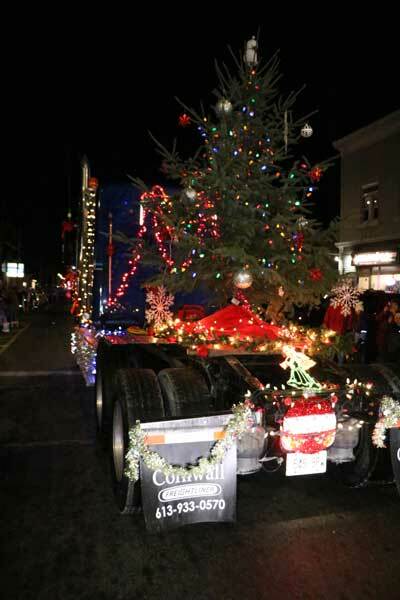 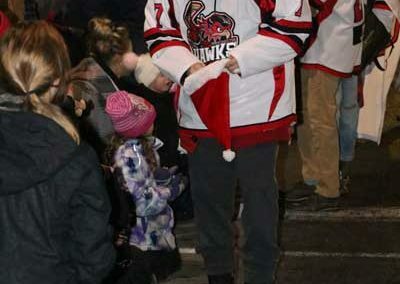 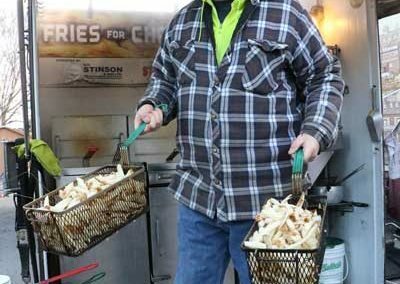 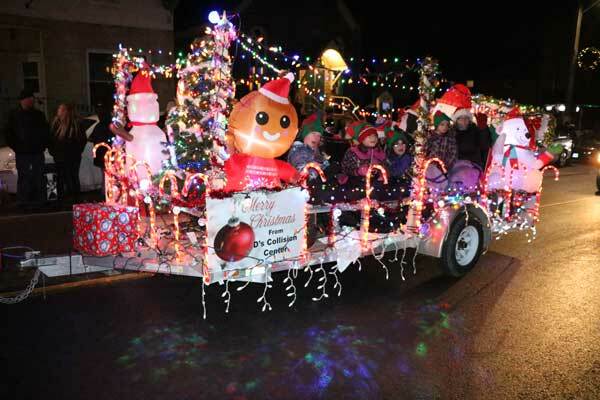 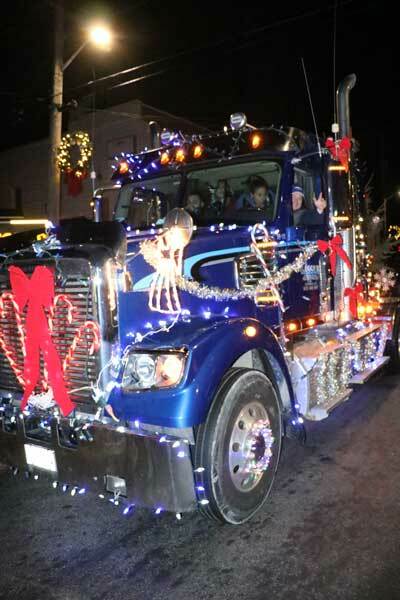 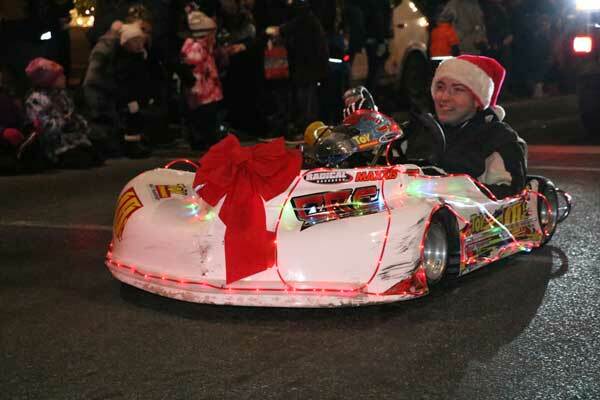 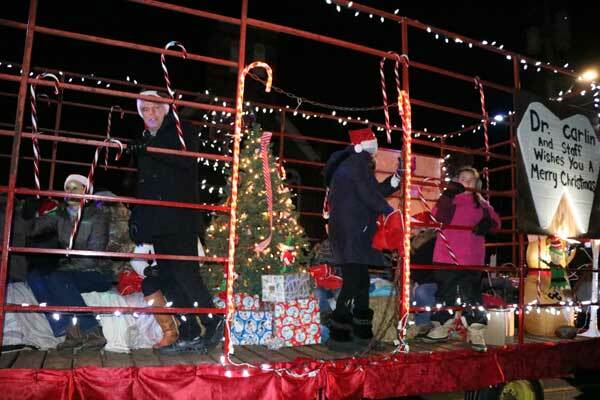 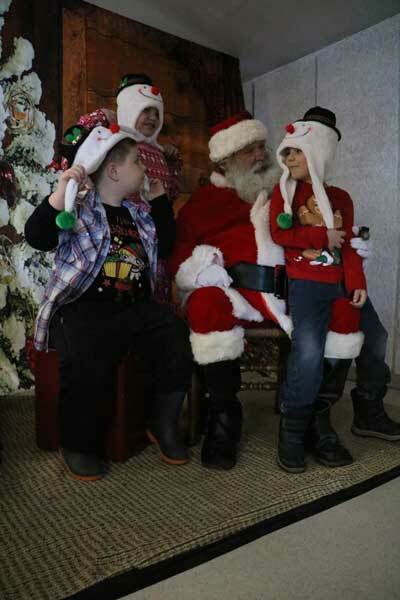 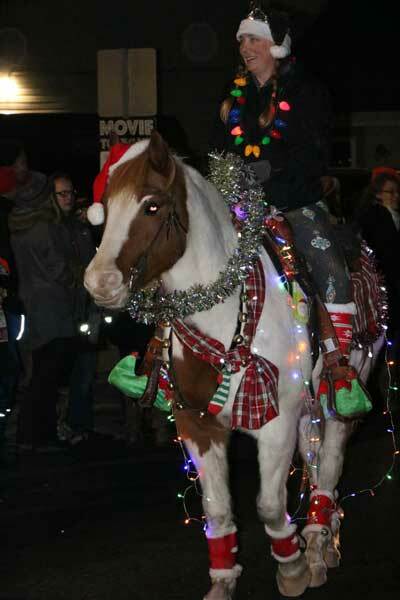 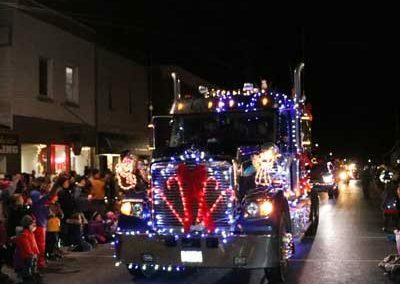 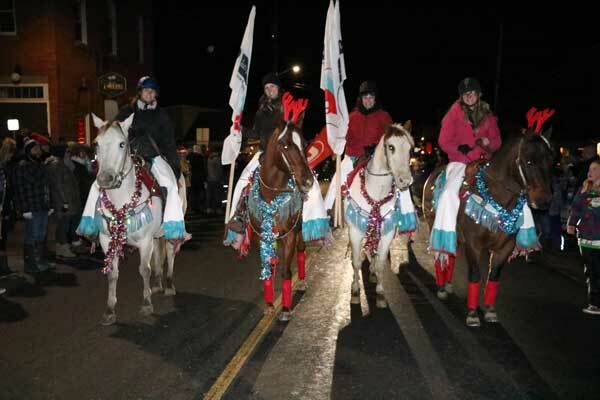 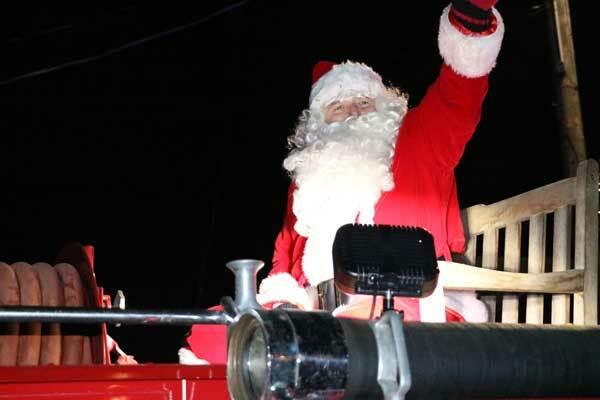 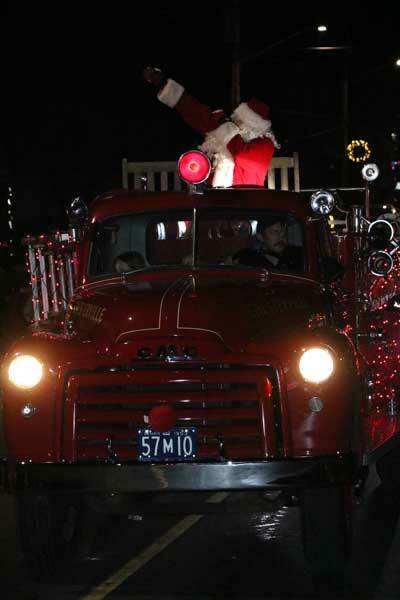 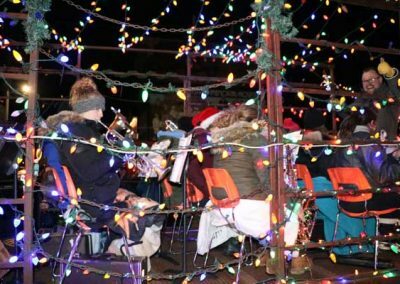 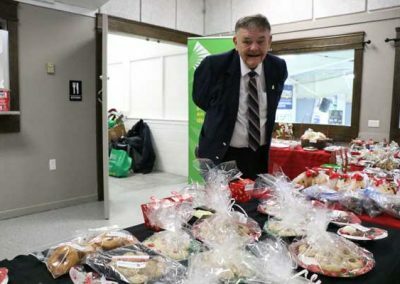 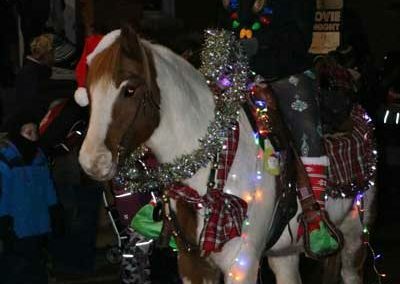 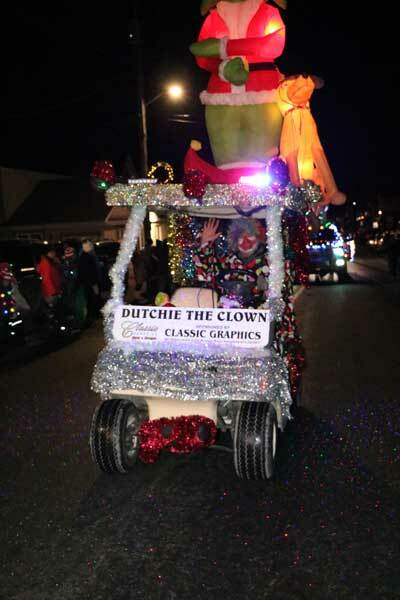 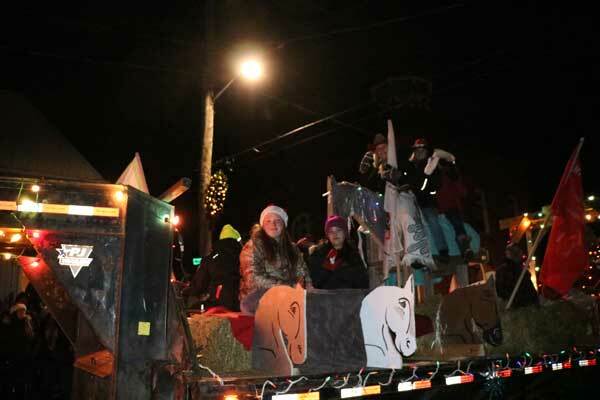 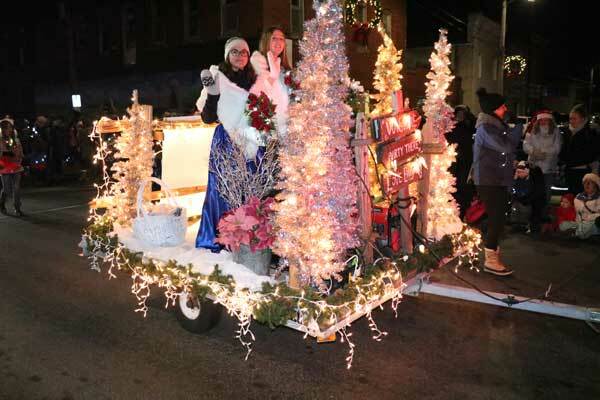 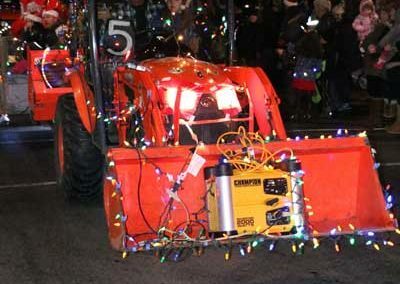 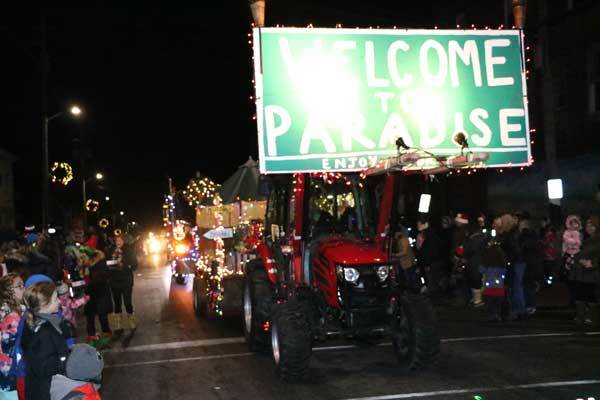 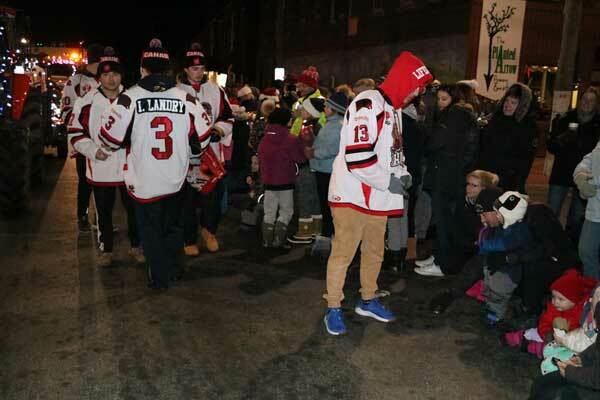 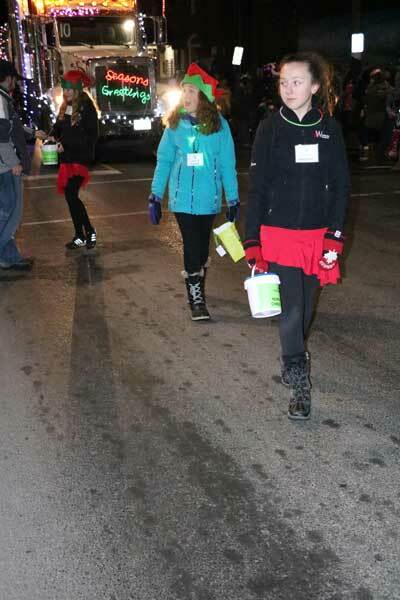 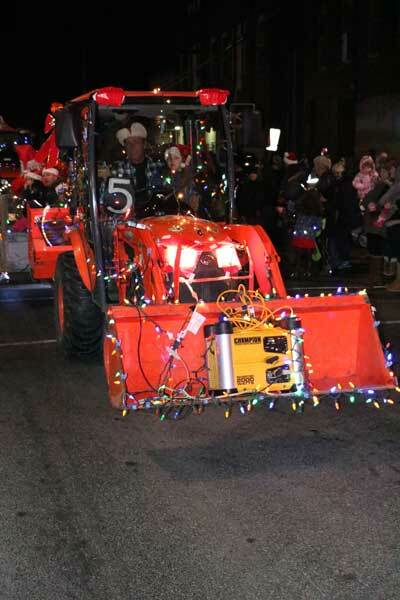 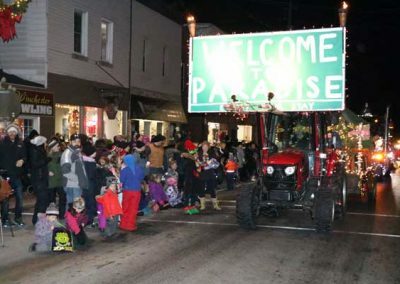 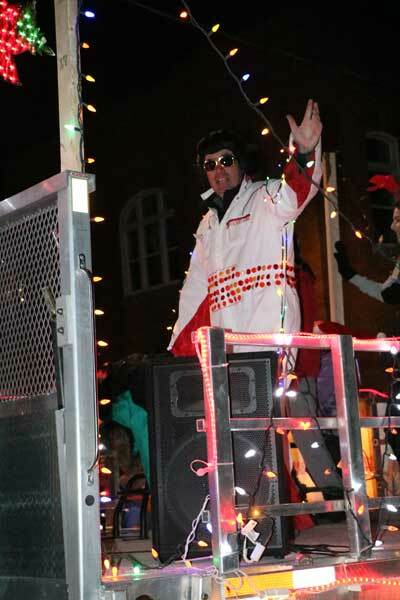 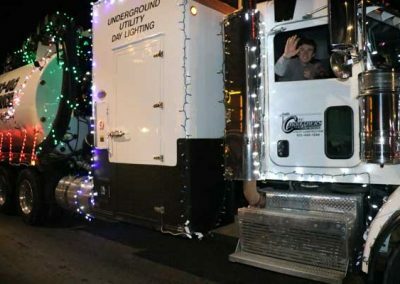 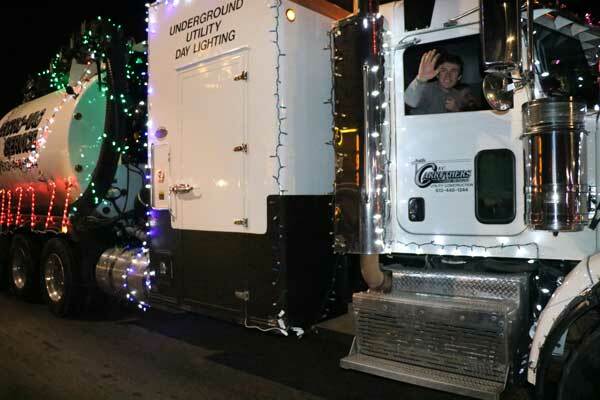 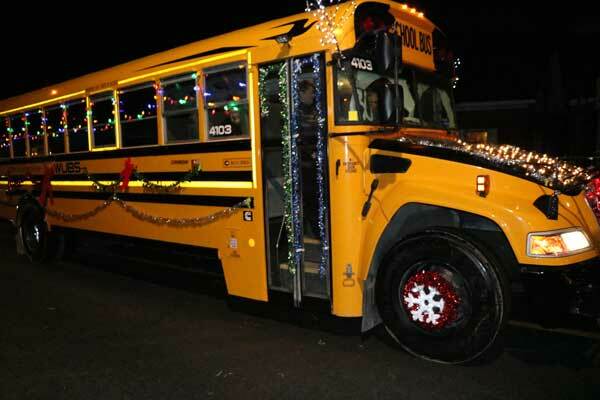 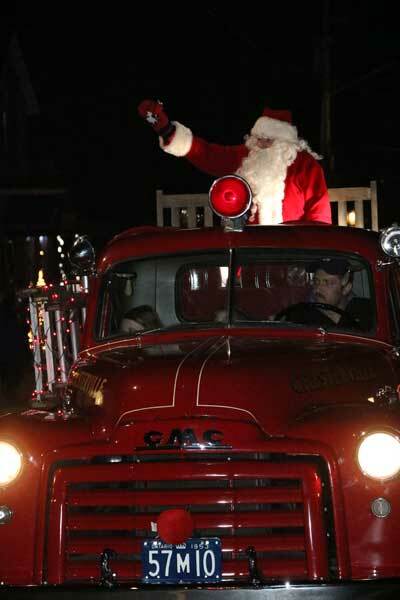 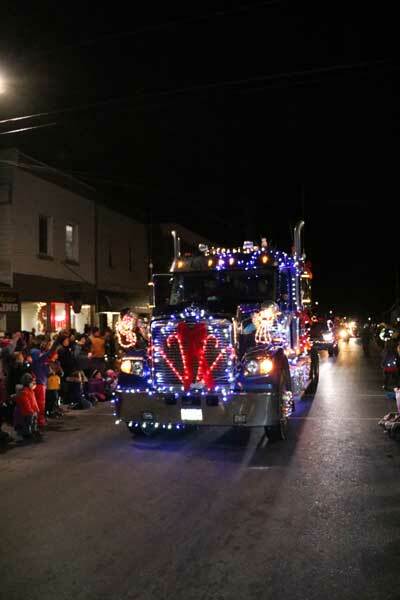 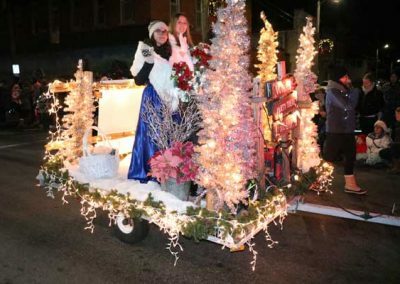 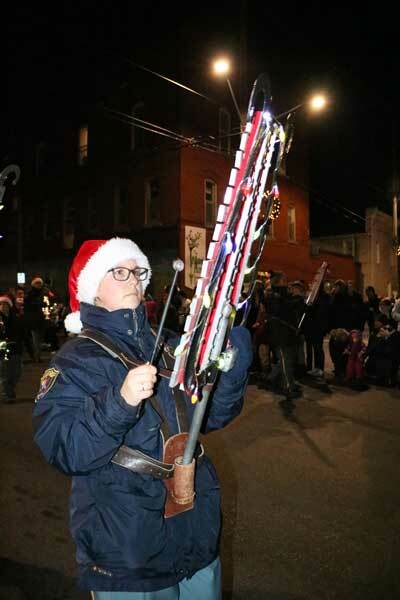 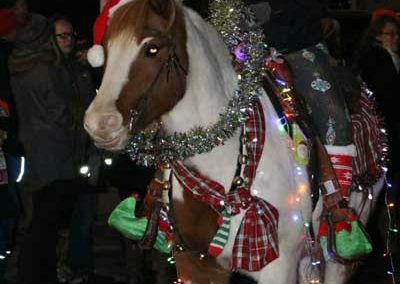 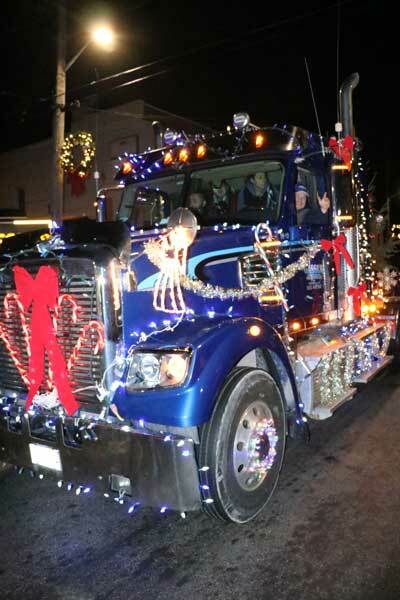 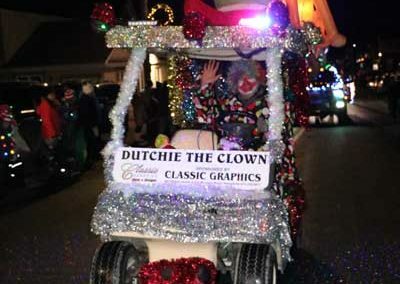 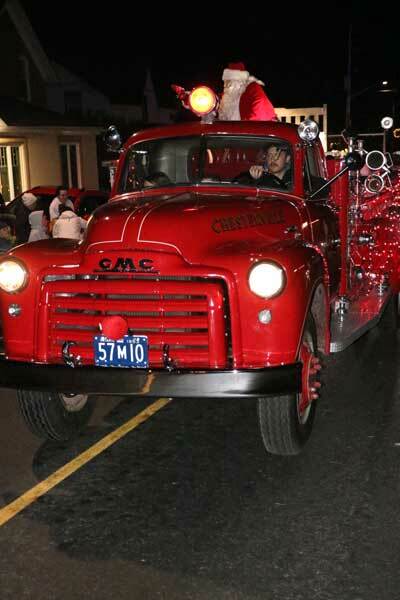 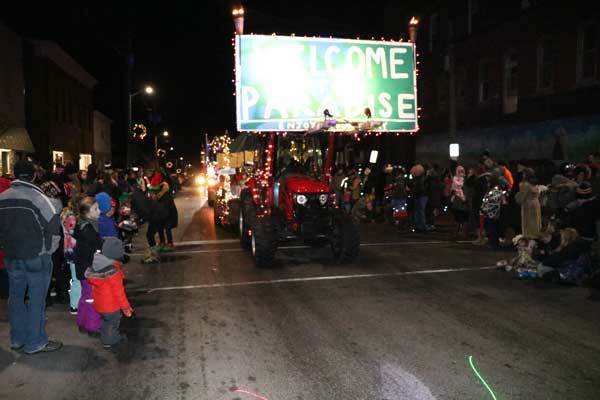 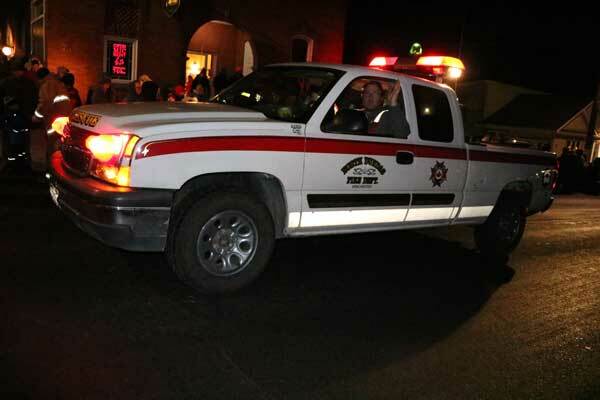 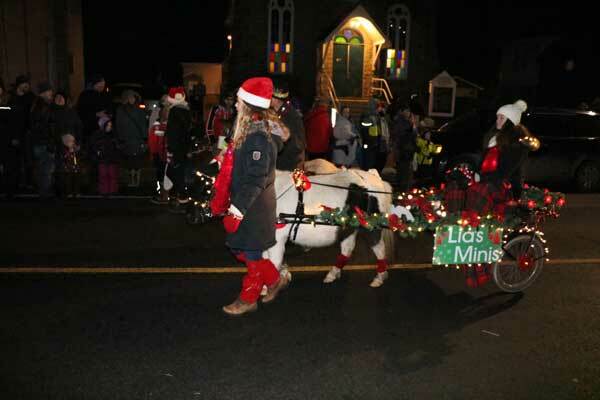 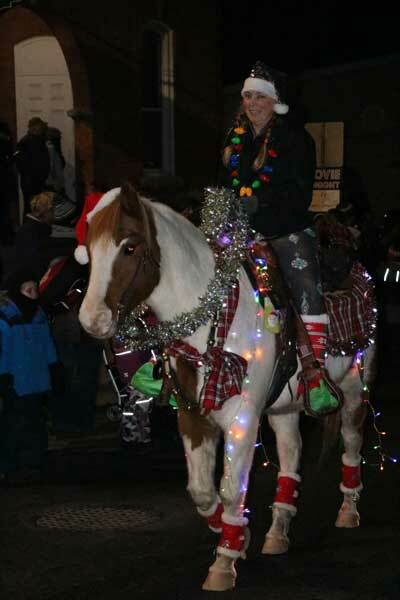 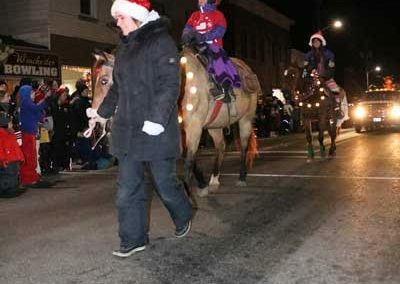 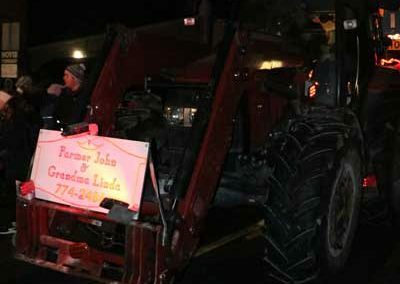 The Parade of Lights and the Vendor & Trade Show is a not-for-profit, volunteer-run event. 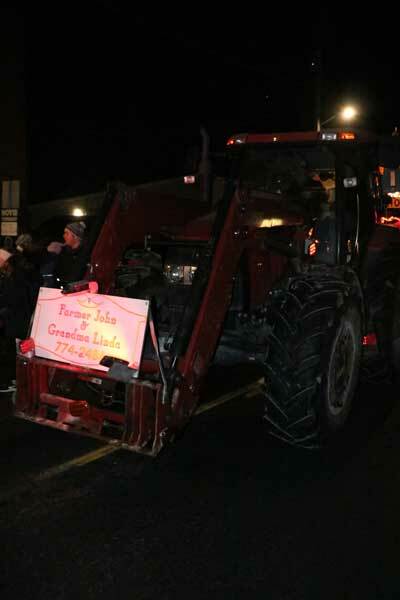 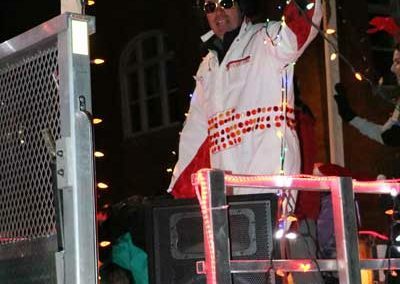 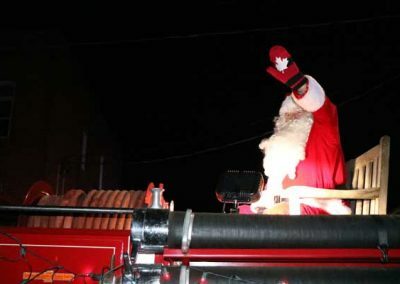 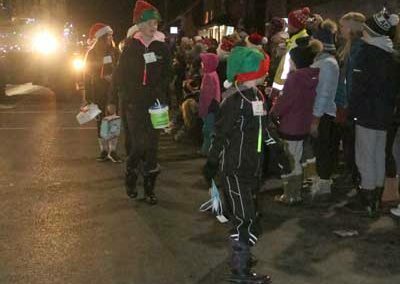 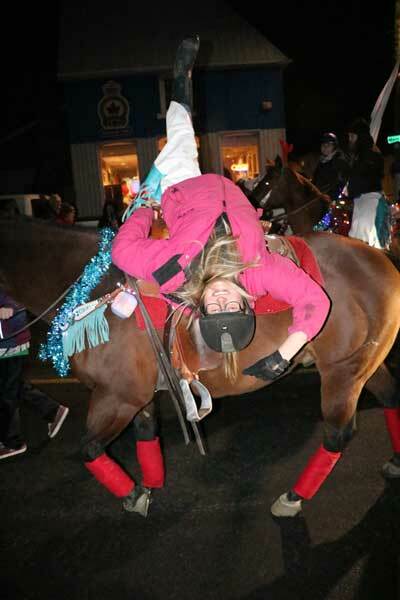 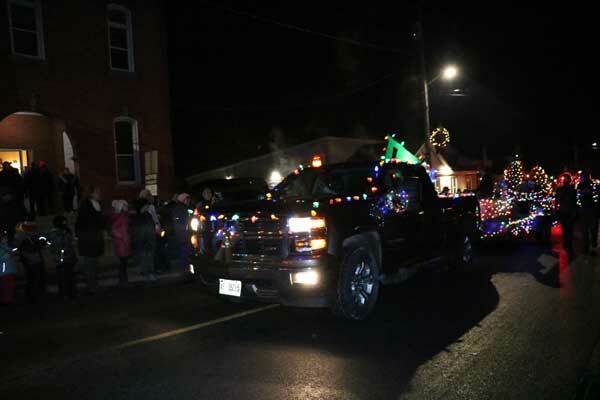 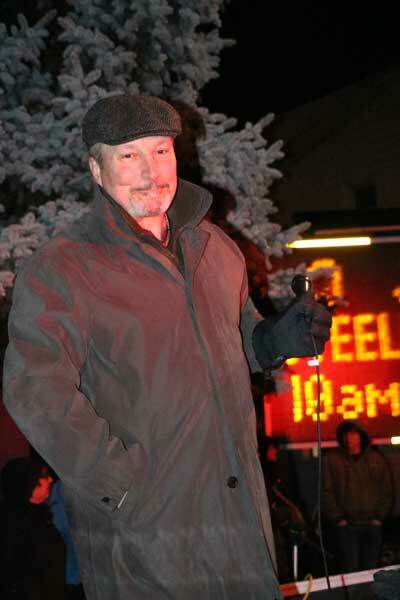 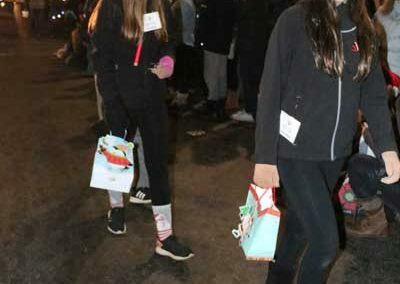 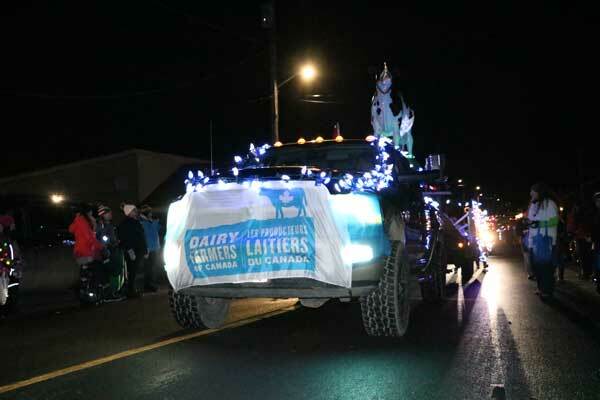 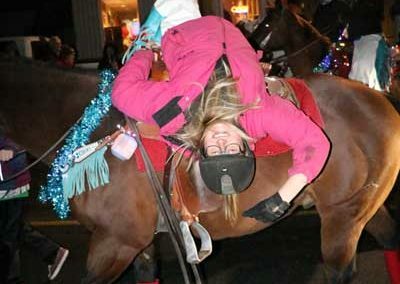 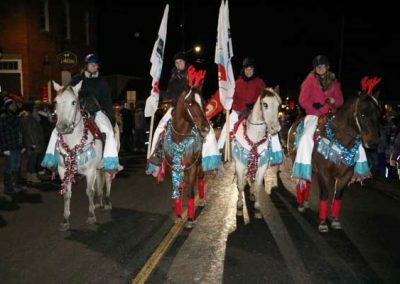 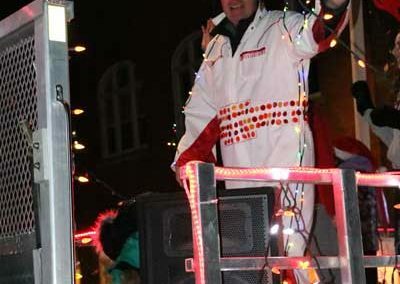 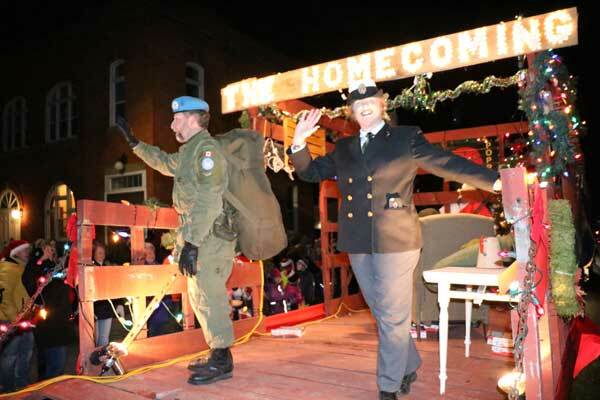 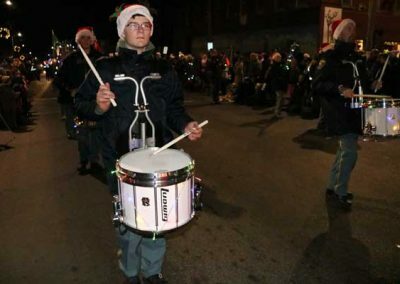 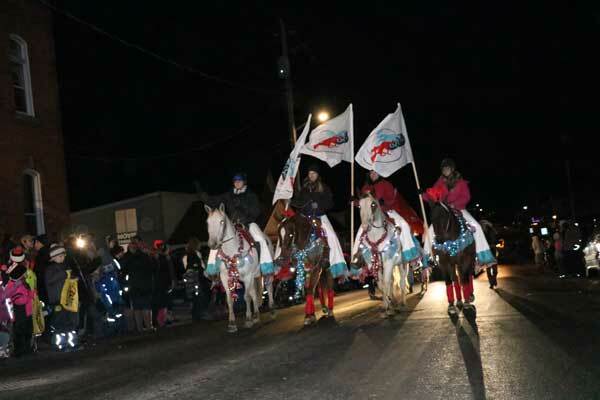 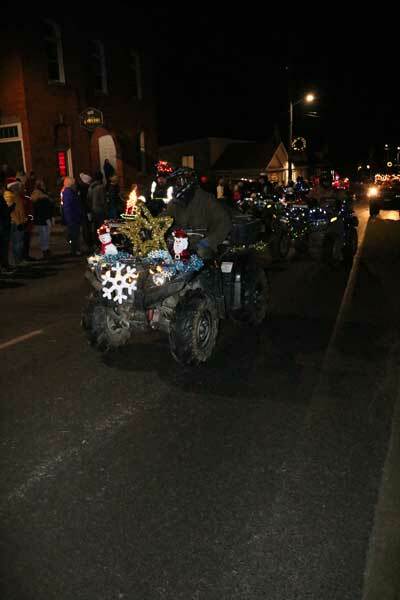 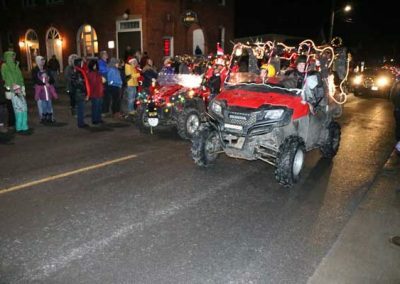 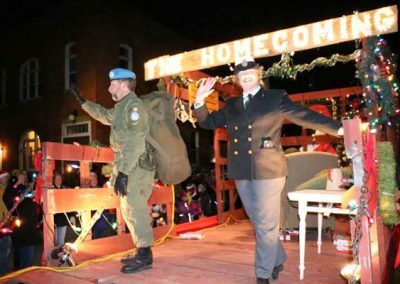 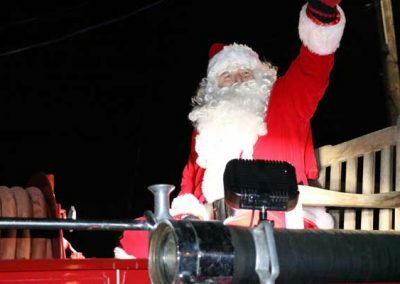 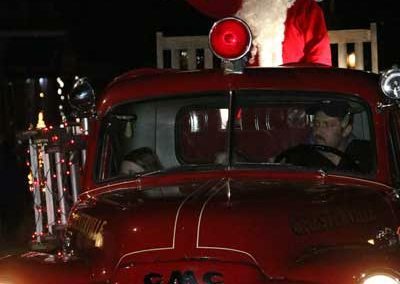 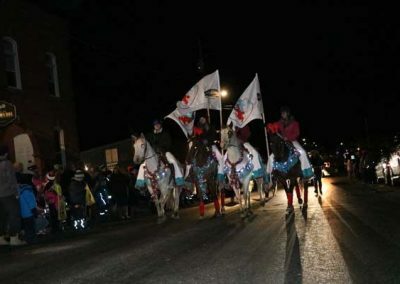 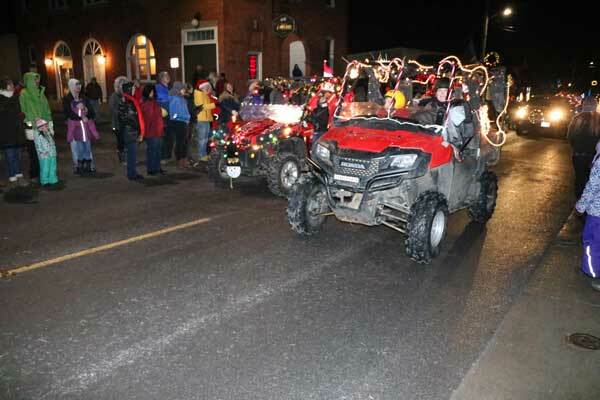 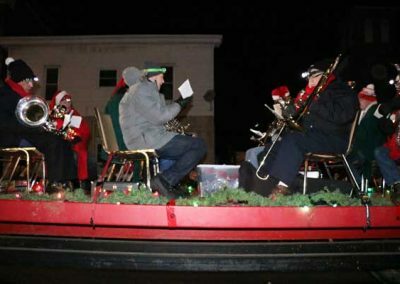 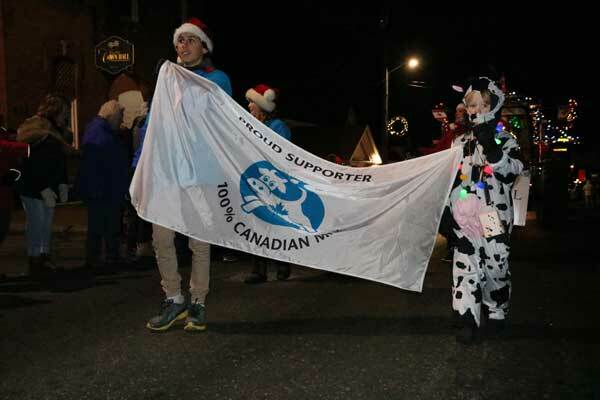 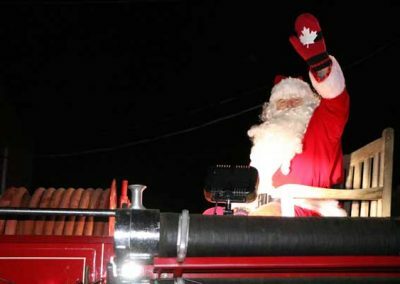 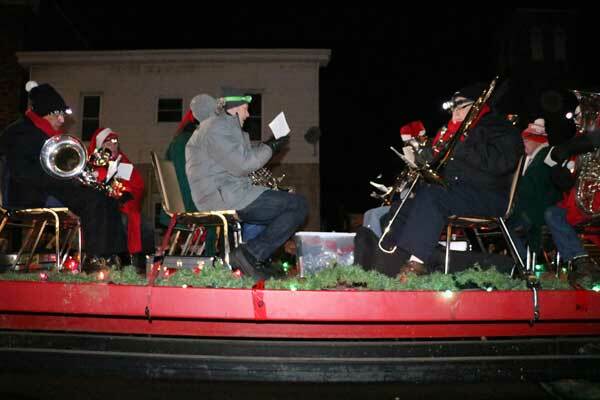 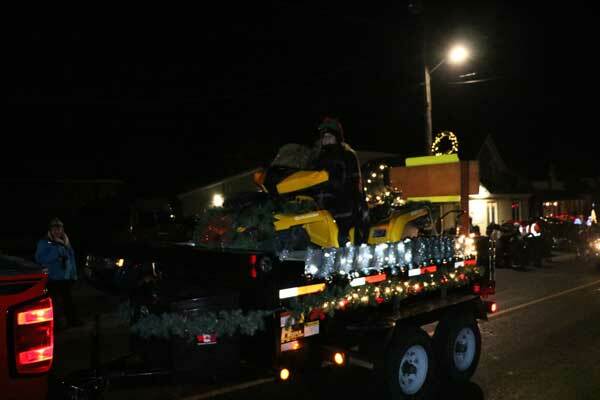 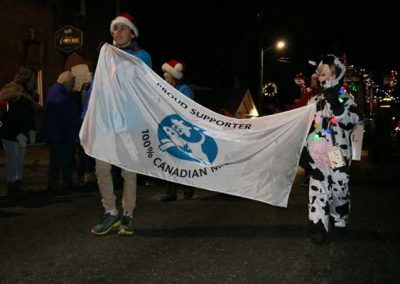 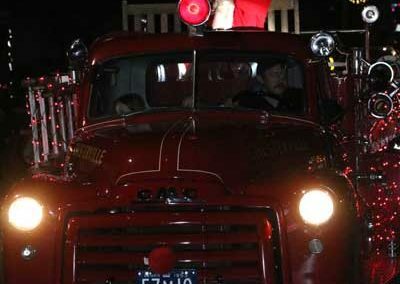 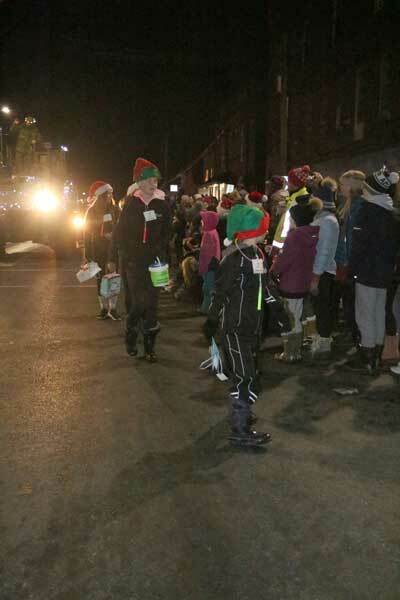 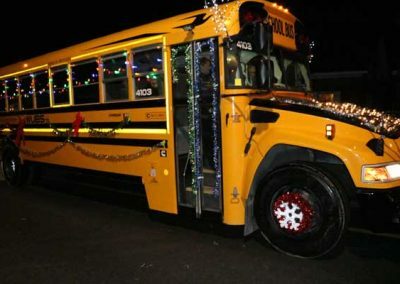 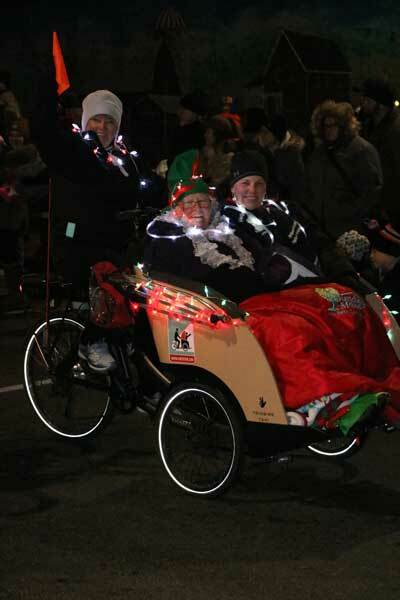 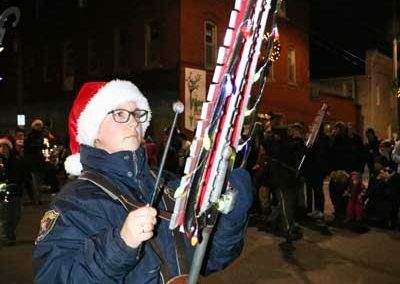 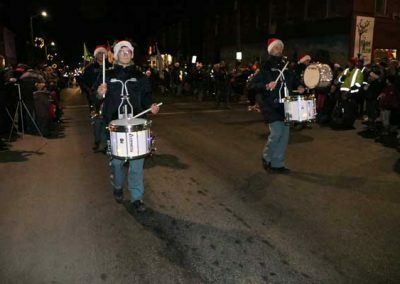 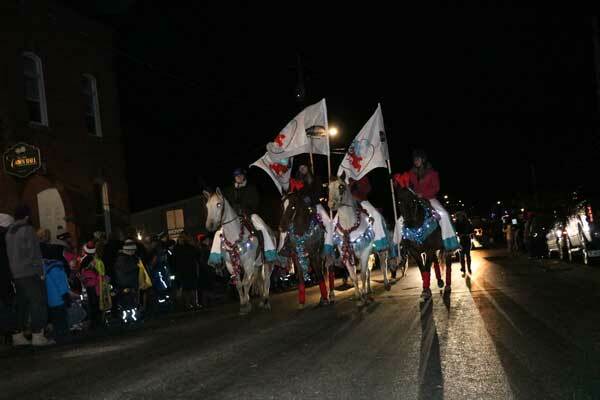 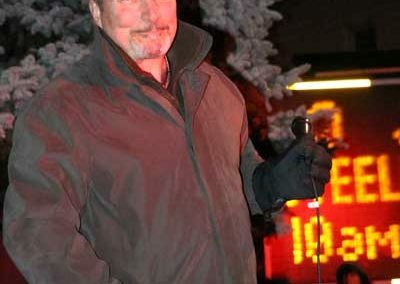 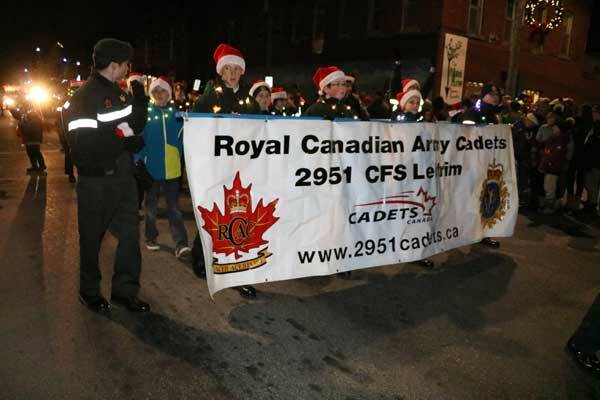 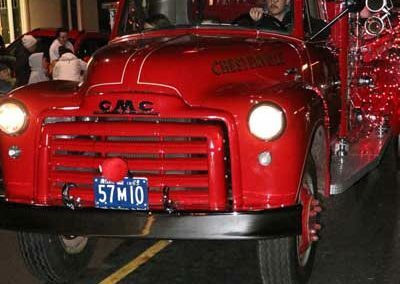 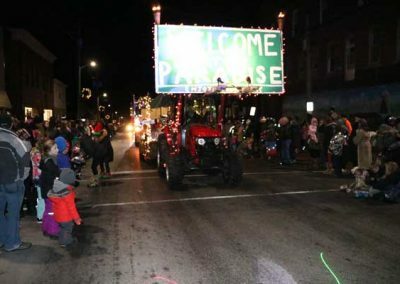 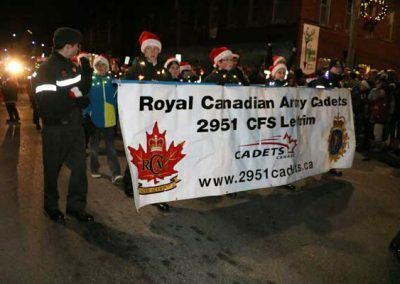 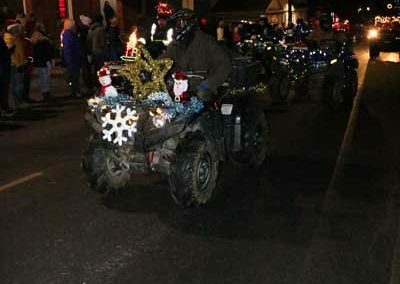 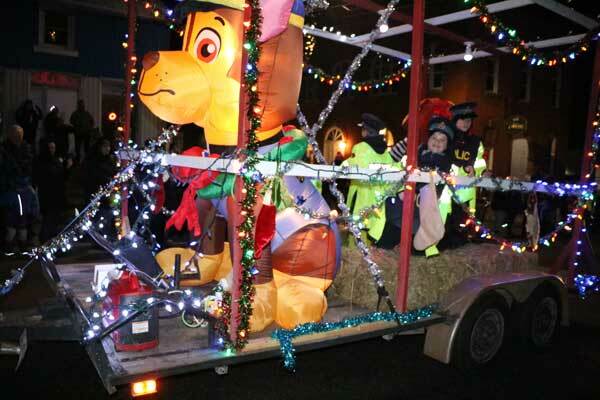 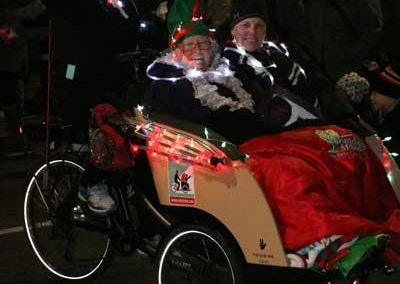 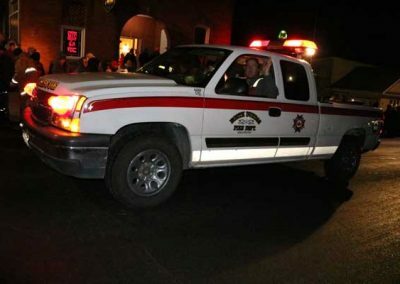 It became one of the first nighttime parades in Canada when the late Joel Steele brought the idea to the committee in 1996. 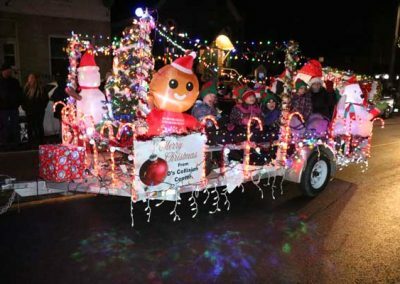 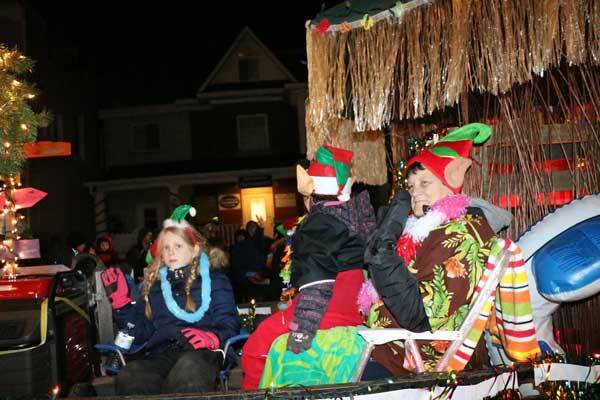 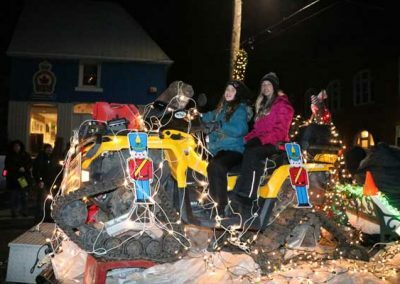 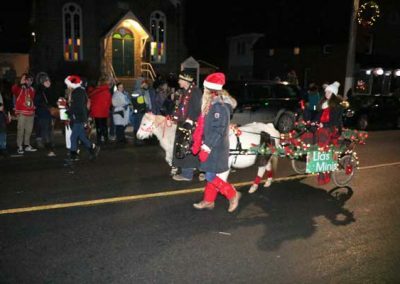 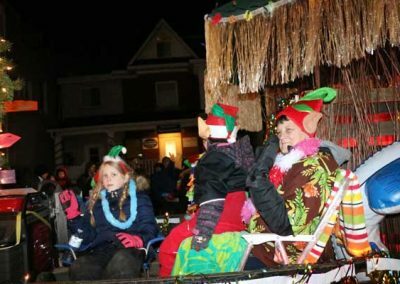 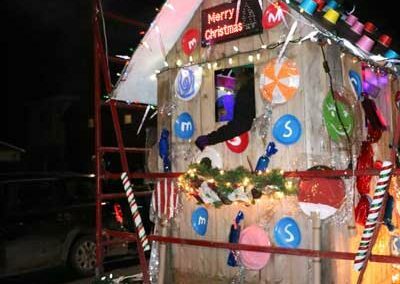 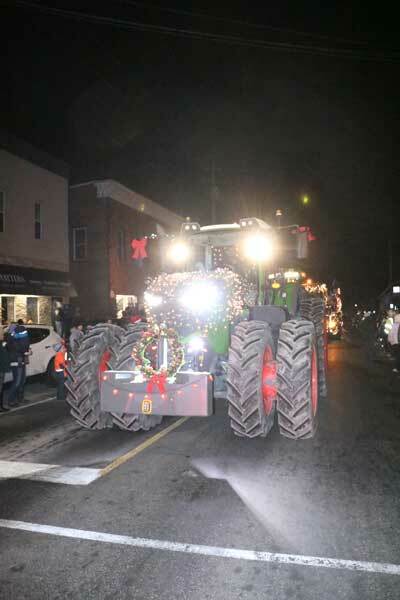 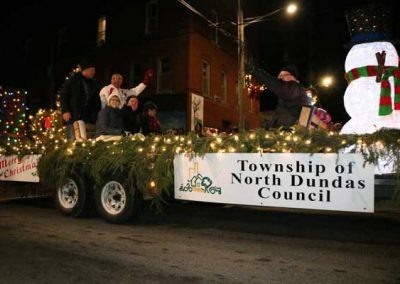 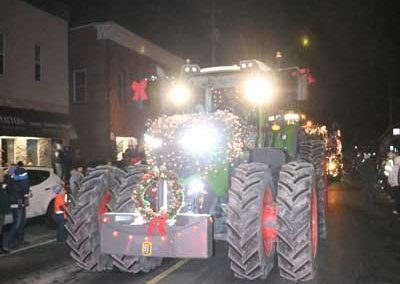 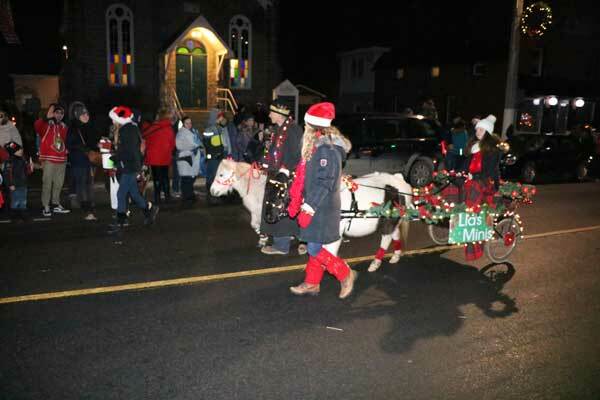 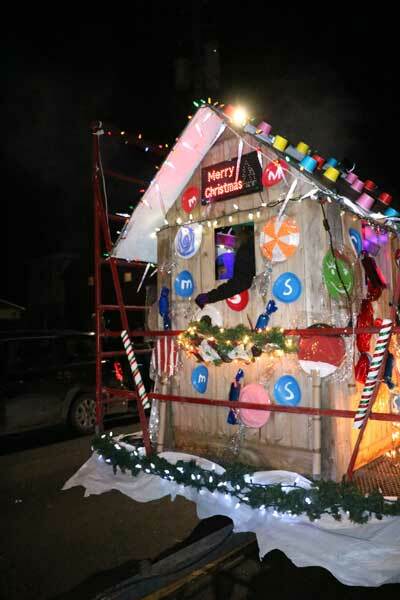 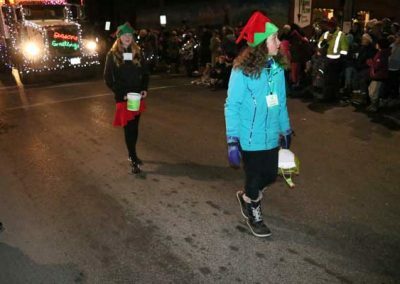 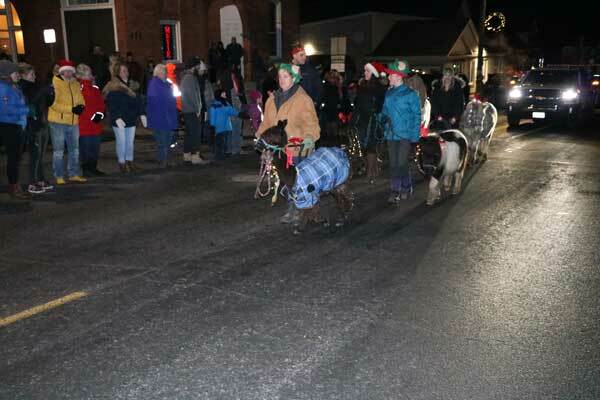 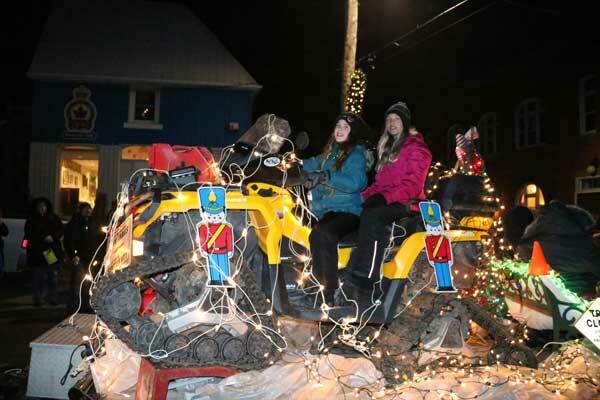 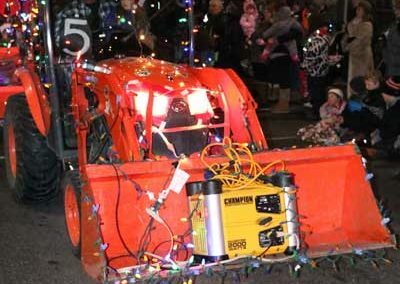 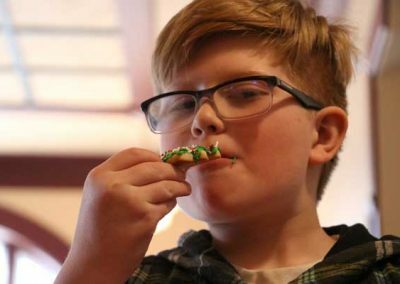 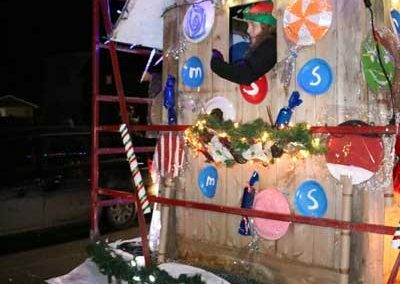 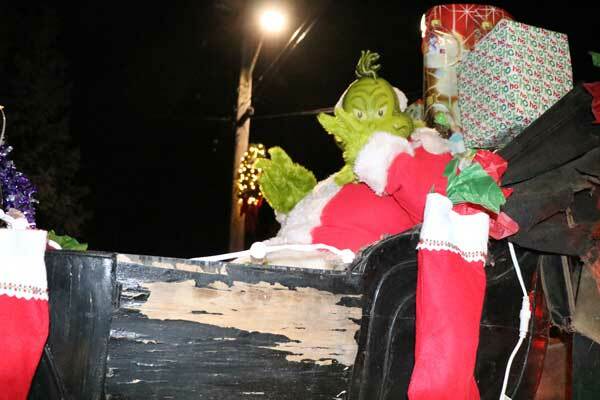 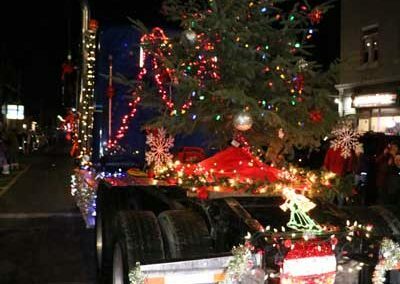 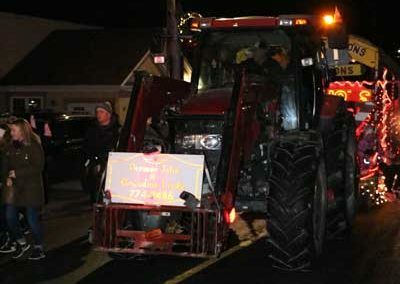 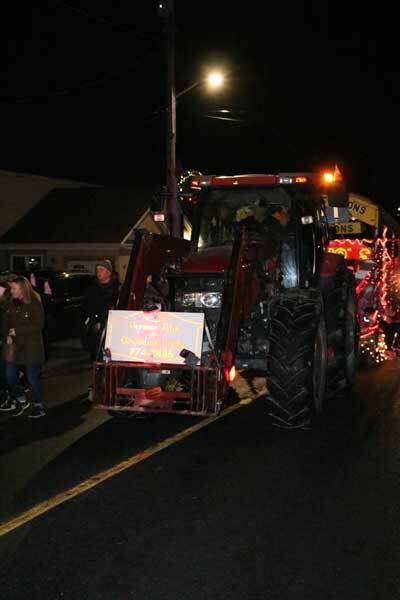 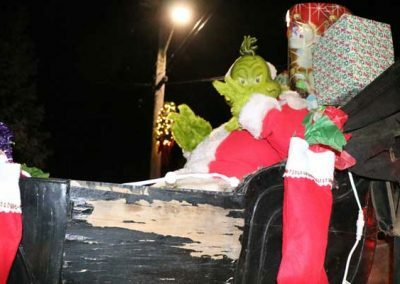 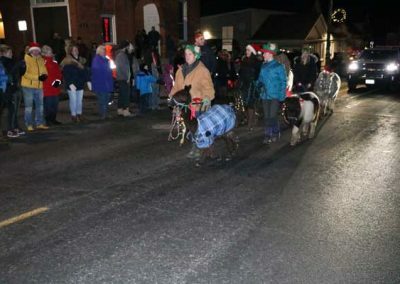 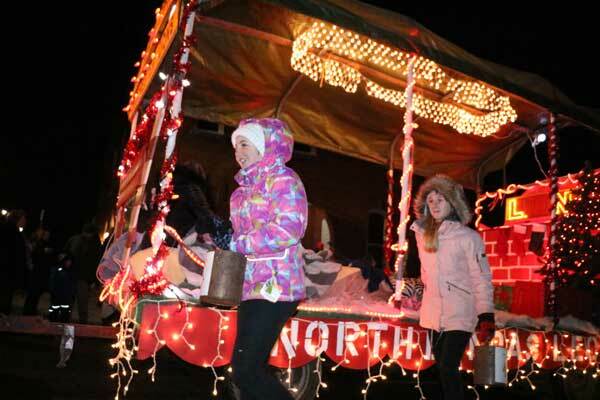 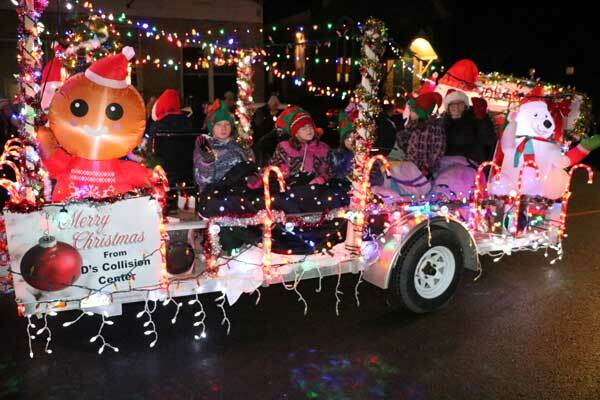 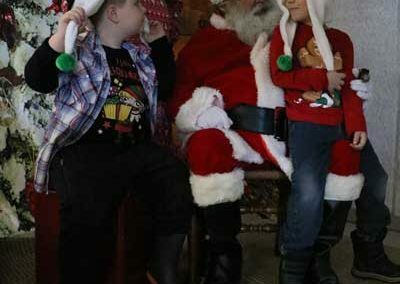 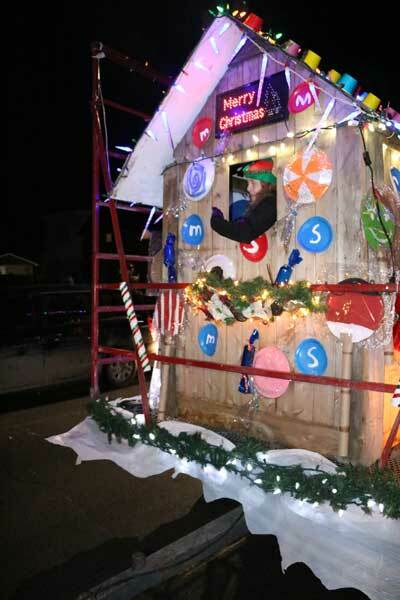 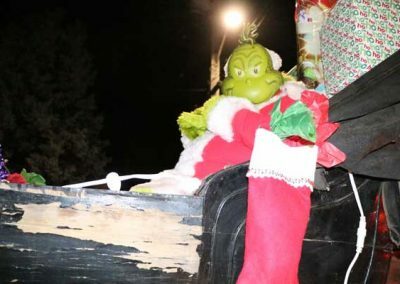 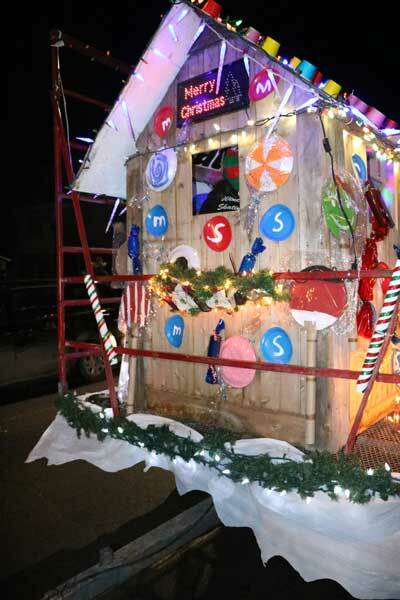 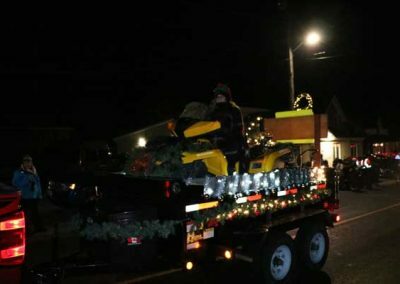 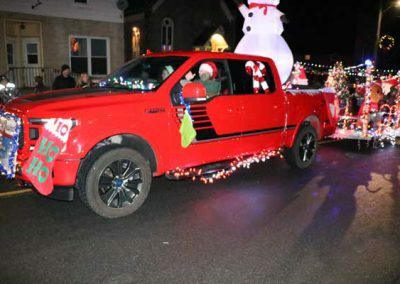 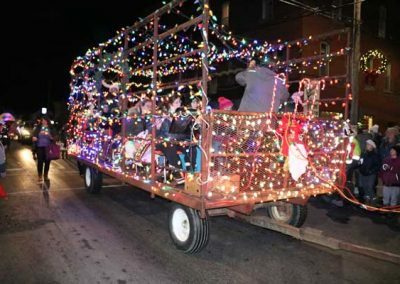 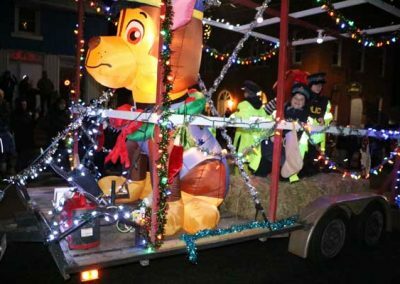 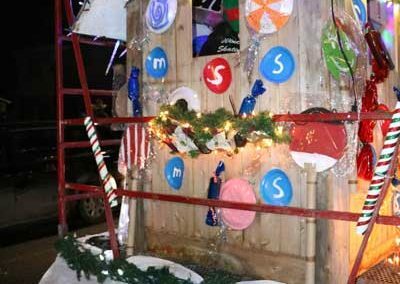 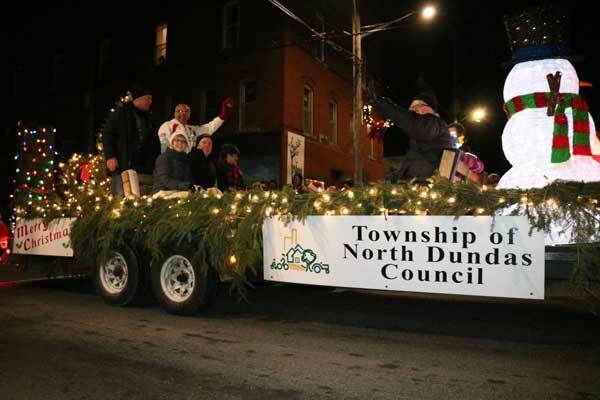 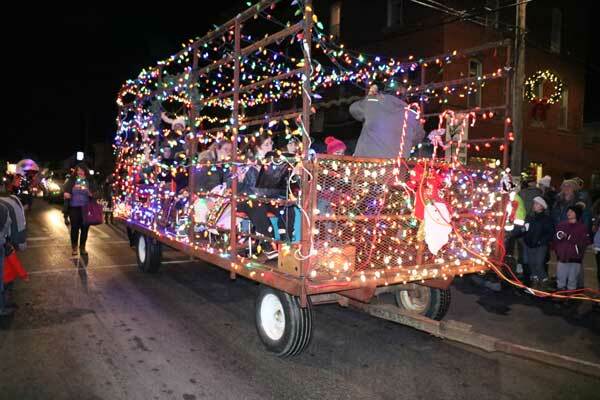 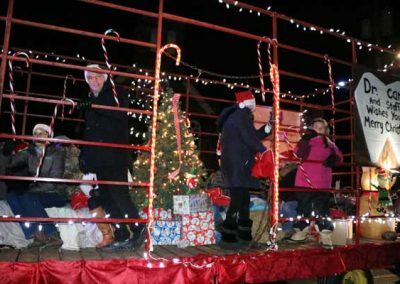 It has since become a Christmastime staple in North Dundas, drawing an average of 50–60 floats and hundreds of spectators annually. Designed by Sandfire Design. 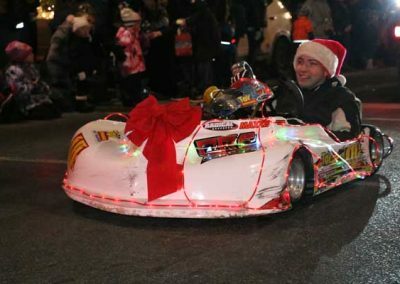 Powered by Storm Internet.